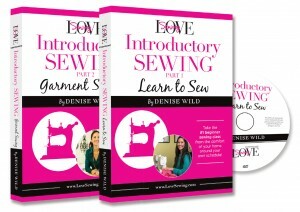 Learn to sew or refresh your skills with Denise’s two-part DVD series. Denise will walk you through building a solid sewing foundation from the comfort of your own home. With Denise’s expert guidance, you’ll complete five projects including three skirts! 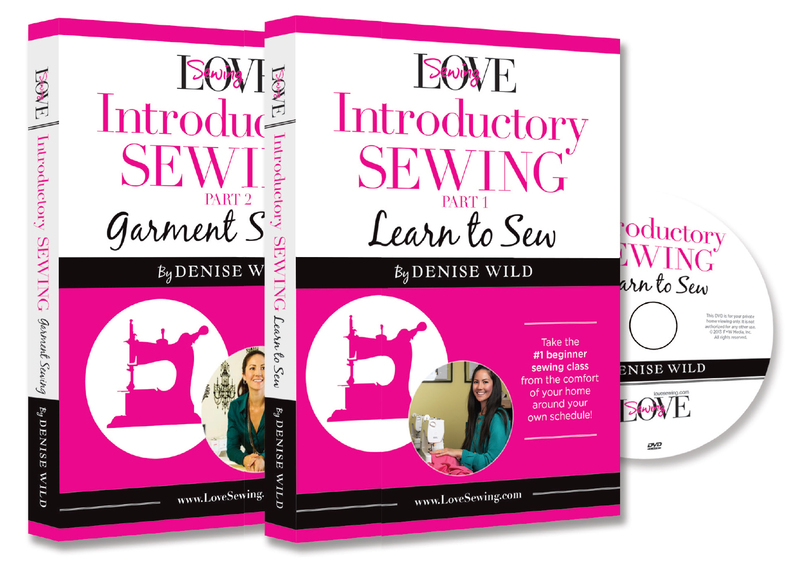 – Have you always wanted to learn how to sew? – Are you looking to refresh your skills? Maybe you’ve never learned the proper techniques. – Are you comfortable with the basics and now ready to sew clothes? – Is it time to take your sewing to the next level? Get your fashion on, and start sewing your own custom-fit wardrobe! Introductory Sewing is a technically focused, comprehensive sewing course, and it was the most popular program at Denise’s sewing school, The Sewing Studio, for 10 years in both Toronto and New York City. And now you can take the course in the comfort of your home around your own schedule! In this two-part DVD series, you’ll start by learning the basics of sewing including various stitches and seam finishes, you’ll build a solid sewing foundation, and you’ll complete two simple projects: a drawstring bag and a zippered pouch. The best part? It doesn’t matter if you’ve never touched a sewing machine before. And if you’ve been sewing for years, we’ll show you how to correct those bad habits and get better-looking finished projects! Once you’ve established the proper foundation, you’ll then learn how to properly prepare fabric for garment sewing, how to work with (and adjust!) a pattern, and you’ll learn how to sew three skirt styles: a pencil skirt, an A-line skirt, and a gathered skirt. On top of that, you’ll have the knowledge and the confidence to be able to sew much, much more.